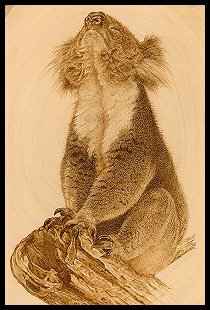 PYROGRAPHY (WOODBURNING) - THE ART OR PROCESS OF PRODUCING DESIGNS ON WOOD, PAPER, LEATHER OR OTHER MATERIALS USING A HEATED TOOL, FLAME OR SOLAR ENERGY. Welcome to Sue Walters Pyrography. 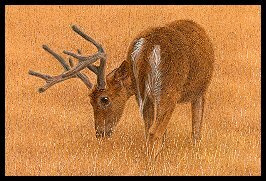 This site is dedicated to all things pyrographic and woodburning. I hope you enjoy your visit here and learn a little something along the way. 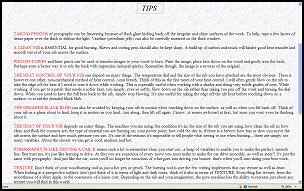 Please use the menu above to navigate around this site or click the image buttons below to navigate to summary areas on this home page. Australia's Largest Supplier of Razertip Burners, Pens and Tips. We stock both single and dual burners. We also have over 230 Fixed tip pens and over 300 tips and tip sets in stock! Looking for Discount packages, jammed with educational material? We have those too! If you need something not normally stocked? No problem! We can order it in for you. Are you a member of an Australian Woodworking Club or a Men's Shed? Good news! You get 5% off. It's your reward for spreading the news about us. Worried about costly shipping prices? We cap shipping at $10.00. You can pile in as much as you want and never pay more in shipping fees. Tracking is provided. The Pyrography Newsletter # 21 is ready. A new free YouTube Video...Burning Textures #5. Crushed Velvet/Fan Palm. Pyrography Textures #1 - Basket Weave. A free YouTube video. Pyrography Textures #2 - Moon Over Water. A free YouTube video. We have the largest selection of Razertip burning equipment in Austraila. At the best prices! Razertip Sales and Information Pages are now up and running! 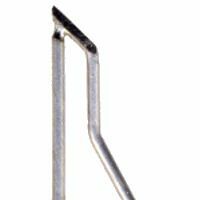 The power base is made for Australian 240Vand are C'Tick approved for use in Australia. I believe this is the only imported burner to have this approval. 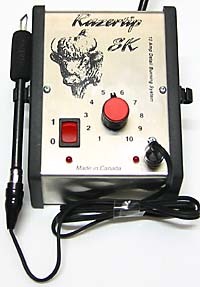 Razertip is the brand I use and is the market leader in Woodburning Systems. The burners have a 3 years warranty and the pens, a year. We have all the advice you need to make the right equipment choice. 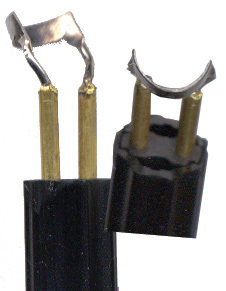 Please click here to view Razertip Equipment. 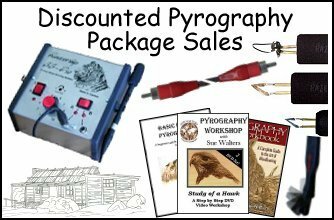 We've put together 9 different varieties of Discounted Pyrography Package. The prices are truly surprising! I am offering equipment packages full of educational material and helpful products because experience has shown me that people tend to buy burning machines, get them home and think, 'what now?' The machine either ends up collecting dust in a cupboard or its full potential is never realized. 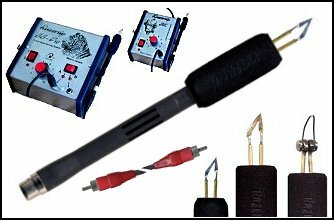 The packages have been carefully designed to provide you with the leading pyrography equipment on the market AND the leading pyrography education on the market. Please visit the Discount Package Page for a detailed description of each package and it's pricing. 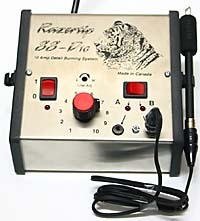 Suitable for all types of pyrographic machines. This page comes via many requests to see larger pictures. I am loath to reduce the load speed of the general galleries, so have created a 'focus' section where various selected pieces will be seen and discussed in more detail at the discretion of viewers. 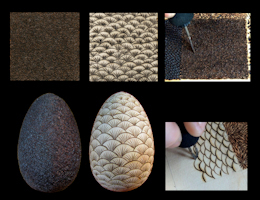 Here you will see the visual, step-by-step progression of past pyrographic pictures. 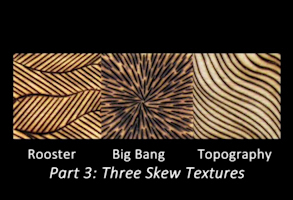 Some tips, tricks and advice about pyrography. An assortment of monochrome and colour pyrography on wood. 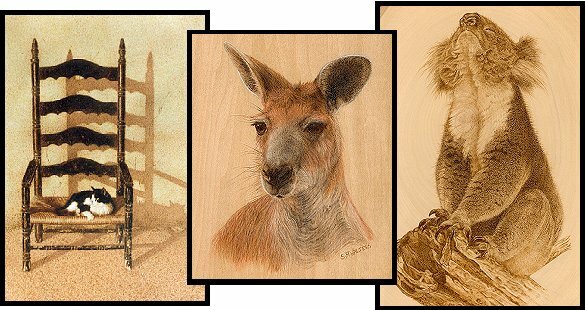 Visit a gallery of monochrome and coloured paper pyrography. Tagua, (vegetable ivory) burns with a unique feel and look all of it's own. View many intricate realism monochrome and coloured pieces.